Need accurate wavy restoration antique window glass for your windows or cabinets? Pioneer Glass offers restoration glass, otherwise known as antique glass, in many shapes and forms. Wavy restoration antique window glass emulates the waviness and occasional air bubbles that are part of true antique window glass. For people in historic homes, wavy restoration antique window glass is ideal for windows in particular to keep with the character of the home. Our wavy restoration antique window glass service is available nationwide! No matter where you are based, Pioneer Glass can help meet your needs to provide period-specific restoration glass, so don’t hesitate to give us a call or e-mail us today! Restoration glass can also be used in elements of period-style reproductions. Manufactured at the turn of the 20th century, Pioneer Glass offers Schott Glass, plus hand-blown wavy glass, based on historical window glasses from a variety of different eras. You can use this glass to replace window glass, and can also use it in furniture and display cases. It’s not easy to find true wavy restoration antique window glass glass as every nuance is important. Schott provides the materials that architects, designers and home-owners need and are manufactured using the traditional Fourcalt process. Emile Fourcalt developed this process in the early 20th century and became the global standard of manufacturing flat glass. There are many processing options available — laminated safety glass, coatings, insulating glass units, and more. It can also be provided with enhanced UV, solar or thermal protection. The glass can be secured overhead and resist burglary in addition to offering sound protection. Click here for more pictures and information about the varied offerings of restoration glass you can select at Pioneer Glass, including the featured ones above. An example of a wavy restoration window pane. If Schott glass is not ideal for your restoration glass needs, we also offer mouth-blown glass imported from Poland, either full or reamy. Full is short for full-antique, meaning it was mouth-blown and created as flat glass, while reamy means full-antique glass with a wavy irregular surface. 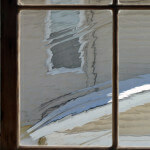 In the towns of Whitinsville, Northbridge, Blackstone, Douglas, Grafton, Hopedale, Manchaug, Millbury, Millville, Oxford, Sutton, Upton, Worcester and all the surrounding areas — plus anywhere in the United States — a great number of people benefit from our widespread array of restoration glass. No matter where you are based, our experts can efficiently assist you to meet your varied restoration glass needs with a modern, stylish finish. It’s a great way to decorate your home in a new pristine style that you deserve!